Price request for RM 016 Black NightRef. The new RM 016 Black Night, a limited edition of 10 pieces, will soon be available at all authorized RM retailers in Europe, CIS, Middle East and Africa. 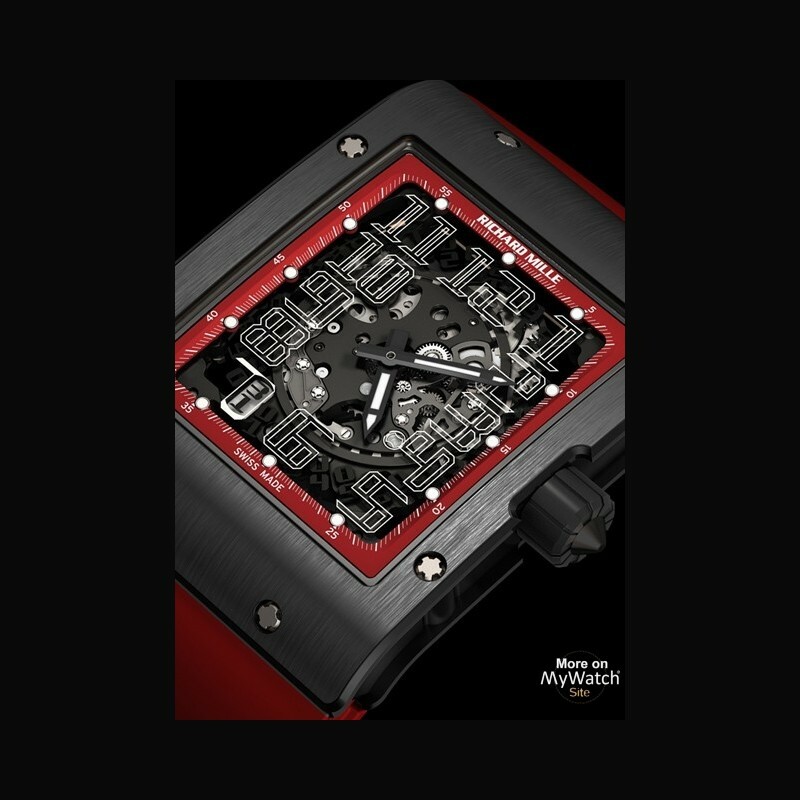 Following the very popular RM 010 Black Night, worn by the Richard Mille Polo Team, the RM 016 Black Night features a unique ‘All Black’ DLC treatment of the titanium case thus creating a striking new contrast with the red flange. 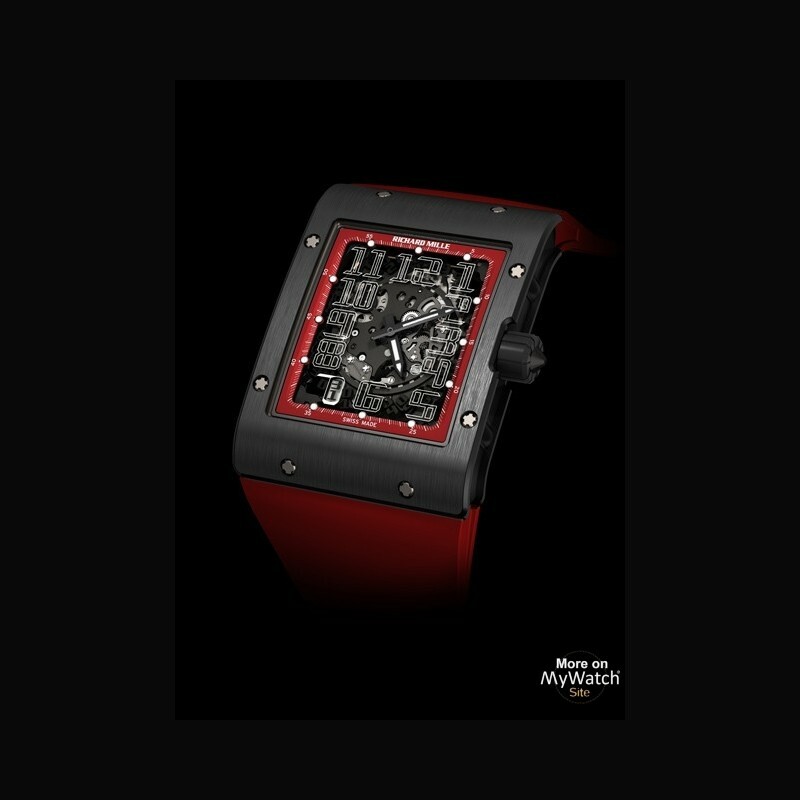 This limited edition RM 016 comes on a red rubber strap complete with a black DLC-treated buckle yet again confirming Richard Mille’s devotion to the use of innovative materials. 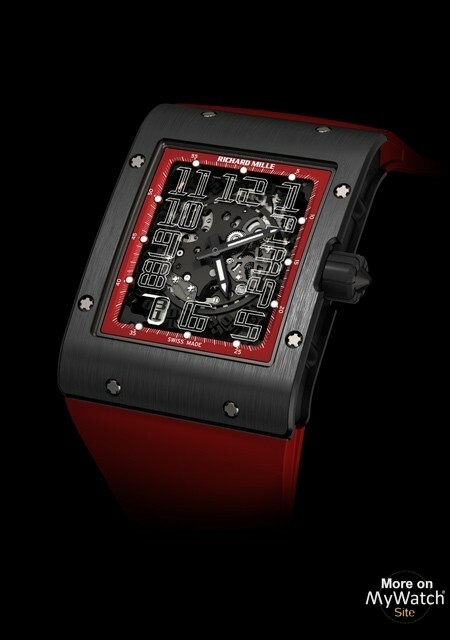 The RM 016 entered the Richard Mille collection with a new and distinct identity. 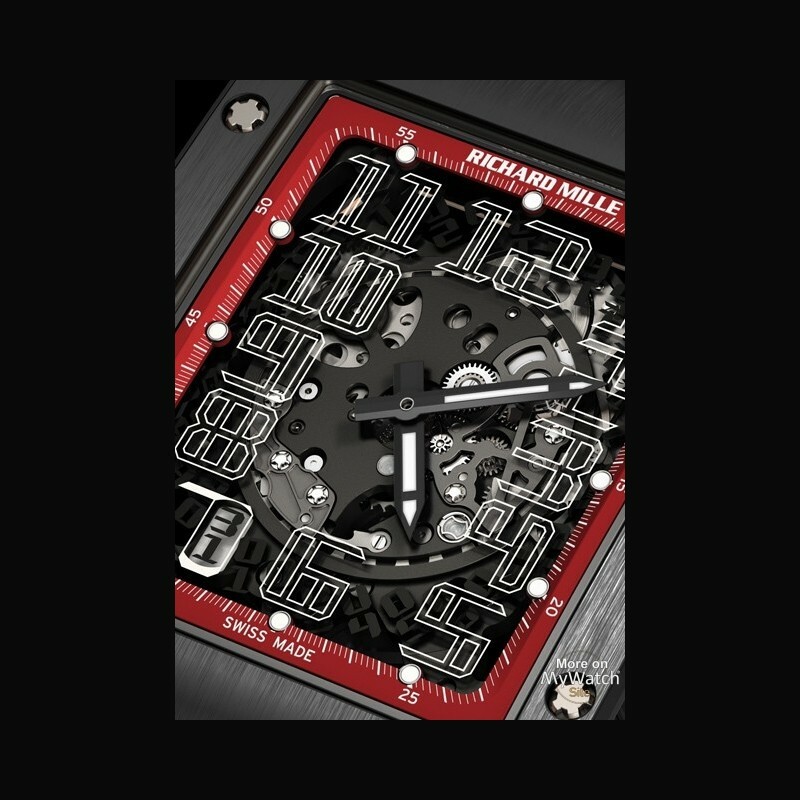 Its extra flat, rectangular case marks a new phase in the brand’s history, yet the watch remains one hundred percent Richard Mille, featuring the same attention to detail and technical achievement as its predecessors; the manufacture and assembly of the case’s three sections require 202 separate operations. Under its case the RM 016 Black Night boasts a skeletonized caliber RMAS7 automatic-winding movement with an integrated variable-geometry rotor, an exclusive Richard Mille concept which allows the automatic winding to adapt to the wearer’s activity. The watch’s design and construction are the result of an overall approach encompassing movement, casing and face. 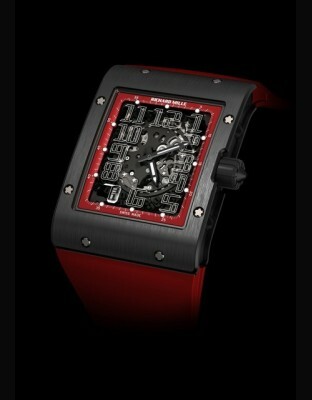 Richard Mille will produce just 10 pieces of the RM 016 Black Night limited edition.